A tenacious inspector makes a grisly discovery of filleted human remains in a sleepy London borough. An international manhunt for Dr Crippen and his companion begins. 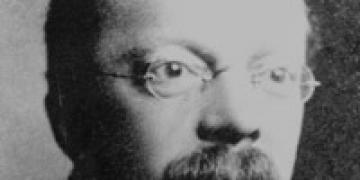 Hawley Harvey Crippen was born in 1862, to Myron Augustus Crippen and Andresse Skinner Crippen, in the town of Coldwater in Michigan, USA. The family were prosperous, owning a dry goods store that enabled them to live a comfortable life, but Crippen was nevertheless raised with a strict Protestant work ethic. Pursuing a childhood interest in medicine, Crippen graduated from the University of Michigan, before pursuing an M.D. degree from Cleveland’s Homeopathic Hospital. On completion, he moved to New York, where he met and wed an Irish nurse, named Charlotte Bell. They had one son together, named Otto, but Charlotte died suddenly of apoplexy in January 1892, leaving Crippen a widower, with a young child. Unable to cope, he persuaded his parents, now living in California, to take charge of Otto, and he remained working in New York, where he met Cora Turner, who became his second wife in September 1892. She was of Baltic descent and, when she was born in Brooklyn, New York, in 1873, her immigrant parents had named her Kunigunde Mackamotzki, a name she later changed to Cora Turner. She left home at 16, and parlayed her considerably sexual charms into acting and vocal lessons, to advance her theatrical career. When Crippen met her, she was 19 years old, and an aspiring performer and opera singer. Her stage name was Belle Elmore, and she was an unlikely pairing for the Protestant, mild-mannered Crippen. He was dazzled by her larger-than-life show business persona; she, by his title of M.D., and the suggested wealth that the title promised. Shortly after their wedding, America’s fascination with the fashionable practice of homeopathy waned considerably, and Belle found herself with a living standard below that which she had expected. Most importantly, money for dramatic lessons dried up, and a nationwide economic depression closed many theatres, taking Belle’s dreams of stardom with them. Crippen was forced to take a job as a consultant for a homeopathic mail order business, Munyon’s Homeopathic Remedies, which proved a shrewd decision: mail order businesses were booming, and Crippen’s intelligence and work ethic impressed his employers. By 1895 he was the Philadelphia area general manager for the company and, in 1897, he was charged with opening the company’s first overseas offices, in London. Belle remained in Philadelphia initially, pursuing her acting lessons and a string of amorous affairs, courtesy of Crippen’s newfound prosperity. When she finally arrived in London, she pursued her stage career there with equal vigour, although her talents were scant, by all accounts. She lived the theatre life, at Crippen’s expense, but her career was sporadic, at best, and the couple grew ever further apart. Crippen made an effort to take an interest in Belle’s career, but this resulted in his being fired from his Munyon’s job in 1899: his employers felt that his concern with his wife’s career had jeopardised his interest in their business. Always industrious, Crippen tried a number of other mail-order and homeopathic ventures, but the failure of a succession of these forced the couple to cut their living costs, moving from fashionable Piccadilly to down-market Bloomsbury, causing even further tension, as Belle could no longer support her ‘stage star’ lifestyle. In 1901, Crippen met the 18-year-old Ethel Le Neve, who was employed as a secretary at the same homeopathic clinic where Crippen was then employed. She was the antithesis of the brash Belle: a demure, intelligent English rose, and Crippen was smitten. She, in turn, was taken with his mild, industrious manner and, by early 1903, they had become inseparable, although Crippen’s Protestant convictions prevented him from progressing the relationship to physical intimacy. While this romance was blossoming, Crippen’s more regular income enabled the Crippens to move again in 1905, this time to 39 Hilldrop Crescent, in Holloway, where Belle felt better able to conduct her entertaining. Belle became involved with the Music Hall Ladies’ Guild, who were taken in by her brash American ways and outrageous affairs, and her forthright manner made her an excellent fundraiser for the Guild. By now both Crippen and Belle lived almost entirely separate lives: Crippen consumed with his unrequited passion for Ethel, and Belle with her lovers and theatrical friends. Belle insisted that they take in lodgers at Hilldrop Crescent, to provide her with additional income to fund her lifestyle. Crippen wasn’t aware that she had an ulterior motive: in December 1906 Crippen came home unexpectedly, early one evening, and found Belle in bed with one of the student lodgers. Although aware of Belle’s philandering, Crippen had never been subjected to it directly. Rushing off to seek solace from Ethel, they finally consummated their affair when she offered to console him. The break in Crippen’s marriage was now complete, although he and Belle continued to live under the same roof. Crippen and Ethel continued their passionate affair, practically under Belle’s nose. She remained unsure of the identity of her husband’s lover, until he left the homeopathic business to pursue a career in dentistry, taking his secretary Ethel with him. Belle’s cronies at the Ladies’ Guild took pleasure in informing Belle that Crippen and Ethel had been seen out, dining intimately together. Now aware of Ethel’s existence, Belle received a shock when she found out, via her friends, that Ethel was pregnant. Crippen was delighted but, before he could broach the subject of divorce with Belle, Ethel had a miscarriage. Belle recognised that her days as a married woman were numbered and, despite her own numerous affairs, decided to play the role of the virtuous wife, cruelly deceived, most probably to try to save face in front of her Ladies’ Guild friends. The Guild social circle was paramount to Belle, where she now held the post of Guild treasurer. By the latter part of 1909, life at Hilldrop Crescent had become intolerable, with daily arguments between Crippen and Belle, as she threatened to ruin Crippen’s professional reputation by spreading gossip about his affair. Sometime over the festive season of 1909, Crippen decided to take matters into his own hands. Setting the scene for Belle’s exit, he told a close colleague, Dr. John Burroughs, that he had concerns about her health.